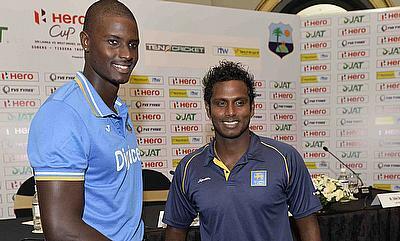 Jason Holder (left) and Angelo Mathews (right) at the launch of the Sobers-Tissera trophy on Tuesday. The Test trophy between Sri Lanka and West Indies has been named as the Sobers-Tissera Trophy to honour Sir Garfield Sobers and Michael Tissera. 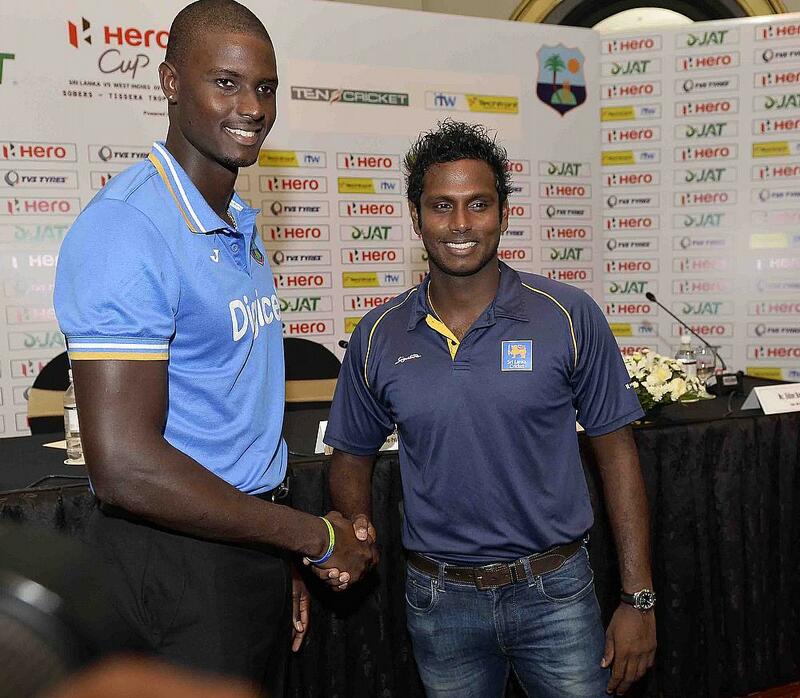 Sri Lanka Cricket (SLC) made the announcement of naming the trophy in the pre-series launch on Tuesday night. Sir Sobers was a legendary West Indies cricketer who is considered to be the greatest all-rounder to have played the game. Having played 93 Test matches between 1954 and 1974, Sir Sobers had amassed 8032 runs and picked up 235 wickets. Meanwhile, Tissera represented Sri Lanka in the 1975 World Cup and also served as the team manager, national selector and an administrator. Giving his reaction on the naming of the trophy to honour Sir Sobers, West Indies captain Jason Holder termed it “truly special”. Holder also feels that it will be an added incentive for the team to win the trophy with Sir Sobers’ name on it. “Having the trophy named after Sir Garfield Sobers is something truly special. “He was one of the greatest to play the game and he still makes a major contribution to the game. “Only recently he joined us in Barbados and wished everyone the very best for this tour of Sri Lanka. Holder iterated that he and his teammates always look up to Sir Sobers and other West Indies legends for inspiration. “We have players in the team who are eager to do very well for West Indies cricket. “We all look up to Sir Garry and the legends of West Indies cricket who paved the way for us to be here. The three-match Test series will get underway with the first game which begins on 14th October in Galle.